The University of Dayton School of Business Administration will launch two graduate degrees this fall in finance and accounting to prepare students for high-demand jobs. Both the Master of Professional Accountancy and the Master of Finance degrees can be completed in as little as one year. The new programs add to the existing on-campus Master of Business Administration and the new online MBA@Dayton, which also launches this fall. “These new degrees meet the need for more advanced and specialized education in the areas of banking, brokerage, wealth management, private equity, corporate finance, international business and accounting,” said Interim Dean Jim Dunne. The professional accountancy degree includes a focus on critical thinking and ethics, said Donna Street, chair of the department of accounting. The program allows students to align the classes they take with their career interests, so they can choose specialized accounting courses, such as tax or auditing, or pursue other options, such as a graduate certificate in cyber security. Utilizing the Bachelor’s Plus Master’s program, UD accounting majors can earn both their undergraduate accounting and Master of Professional Accountancy degrees in as few as four years. The program also helps prepare students for the CPA exam. 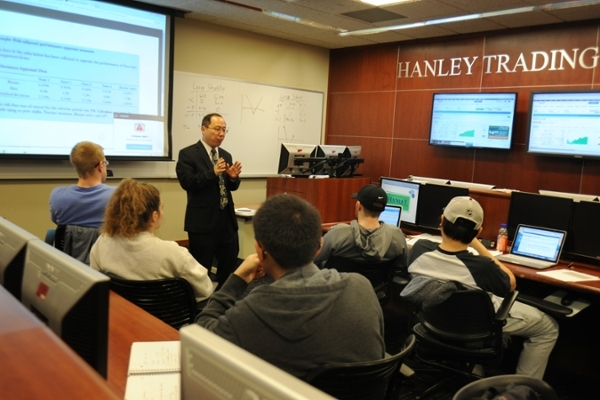 The finance program gives students access to hands-on learning about traditional and alternative investments at the University’s two investment centers, the Davis Center for Portfolio Management and the Hanley Trading Center, said Trevor Collier, chair of the department of economics and finance. It also prepares students to begin the series of exams required to become a CFA charter holder. The degree will meet the growing demand for people who are trained in the finance discipline and understand it at a deeper level. "Finance and accounting students are highly sought after by local, regional and national employers,” said Jason Eckert, director of Career Services, “and they’re among the most frequently requested majors by employers conducting on-campus interviews and visiting the campus for career fairs. Employers really value the level of academic training and opportunities for experiential learning and co-curricular experiences received by accounting and finance students." Both programs are now accepting applications. More information is available on the School of Business Administration’s website.